Painter from the Court of Burgundy. 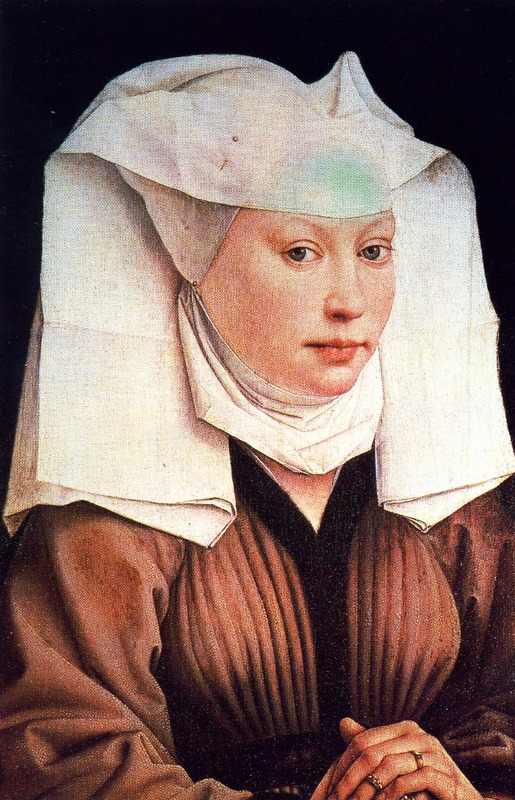 Rogier van der Weyden was born in 1399 in the Belgium city of Tournai under the name Rogier de le Pasture. He studied in the workshop of Robert Campin and was a greatly influential Northern artist. 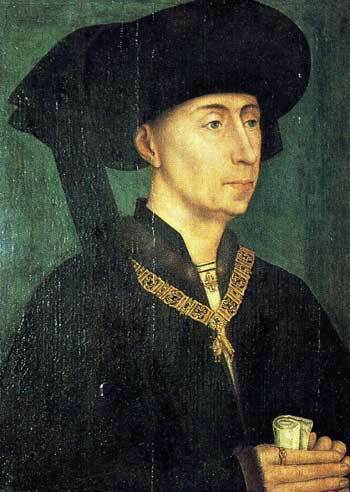 He visited Rome in 1450 but was not influenced by Italian art his style remained pure Netherlandish. Rogier married the daughter of a Brussels shoemaker, he and his wife, Elisabeth, produced four children and the family moved to Brussels in 1435. It was in the Dutch-speaking town of Brussels that Rogier began using the Dutch translation of his name Rogier van der Weyden. Brussels was home to the influential Court of Burgundy and Rogier became a prominent citizen holding the post of the official painter to the city in addition to his role as a painter to the court of Burgundy. This was the generation after Van Eyck who Rogier eventually succeeded in popularity. 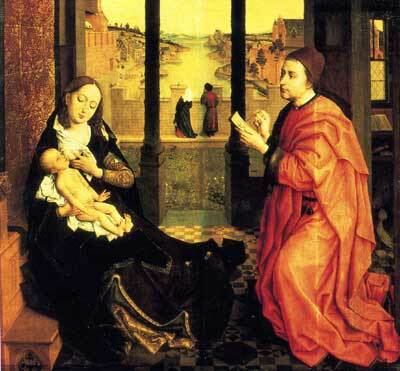 In Van der Weyden's St Luke painting the Virgin he uses virtually the same setting as Van Eyck's Madonna of Chancellor Rodin with the triple window looking out onto an enclosed garden with a river dividing an urban scene. St Luke Painting the Virgin, (s) 1432, Museum of Fine Arts, Boston. Entombment, (s) c.1450, Uffizi Florence. 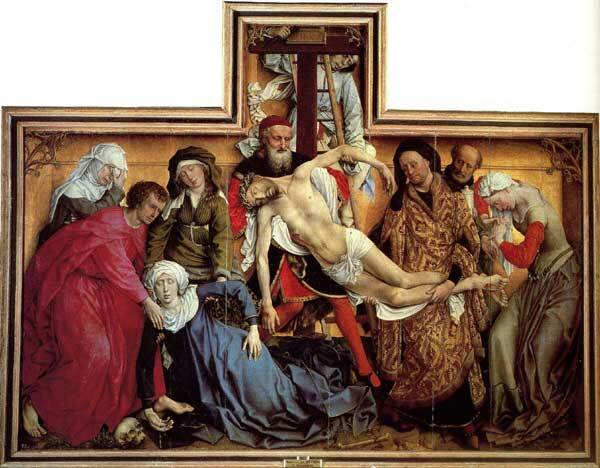 The Descent from the Cross is Van der Weyden's most famous work. It is compressed into a frame that only just contains it. Also, the depth within the painting is very shallow and is contained by a wall in the background, this gives the figures greater prominence and highlights the extreme expressive sadness that the artist has woven into the work. The figures interlock with the body of Christ mirroring that of the swooning Virgin adding a diagonal dimension to the composition. The anguish of Mary Magdalene is clear as she bows her head and wrings her hands in desperation, this is cleverly balanced by the bent body of John as he supports the Virgin at the opposite end of the painting. Above the figure of John is the weeping image of one of the other Marys who holds her hand to her face consumed by grief. The artist is rightly famous for his renditions of human suffering expressed by the characters in his paintings. This work is a fine example of his style. This is the centre panel of the Columbia Triptych which is an Adoration of the Magi. 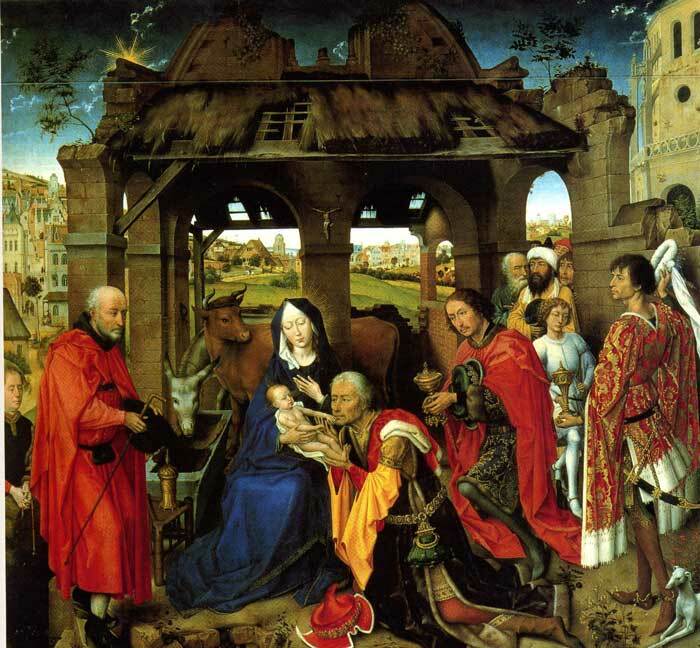 The kings are dressed in luxurious clothing with the Holy Family placed in front of the stable. The stable block displays a type of grand architecture with solid columns and arches. A picture of nobility and generosity permeates the scene which is completed by the sweeping landscape adding depth to the work. 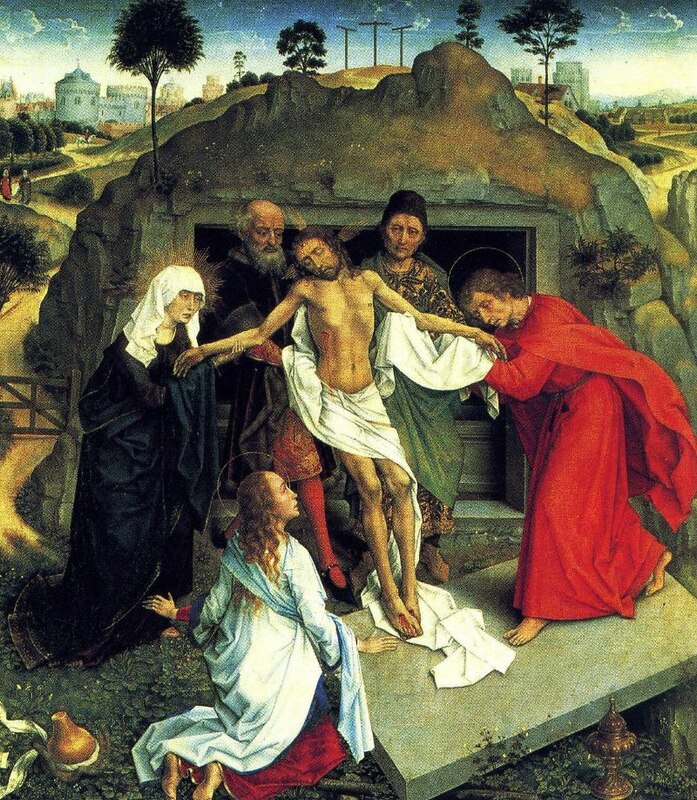 Van der Weyden died on June 8th 1464. He was internationally famous in his lifetime and wielded a huge influence over his contemporaries and future generations of Flemish artists.